There are about 90 species of monkeyflowers in the US and Canada, but almost all of them are confined to the western part of the continent. Five are found east of the Missiissippi, and of those, only two are known in Maryland. Which one is pictured above? That’s winged monkeyflower, but you can’t quite tell from the picture. The flowers are almost identical, though in different parts of the country there can be marked color differences. 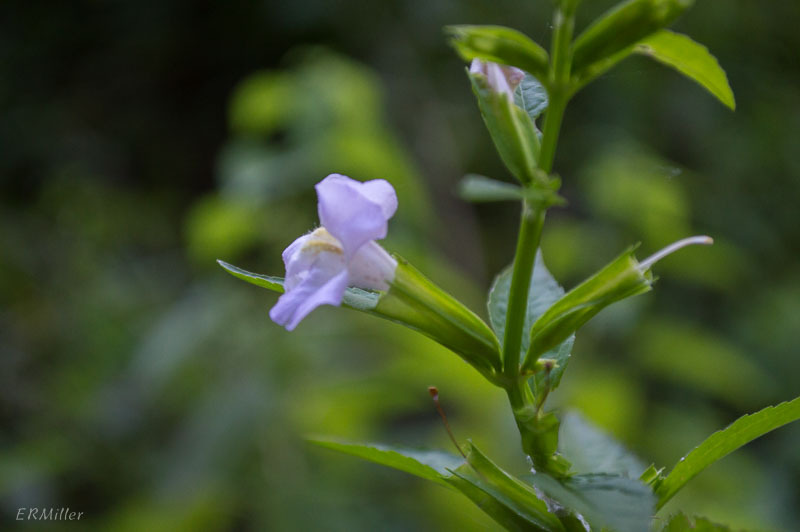 The Allegheny monkeyflower has sessile leaves (meaning the leaf base touches the stem), while the flowers are connected to the stem by a long pedicel. 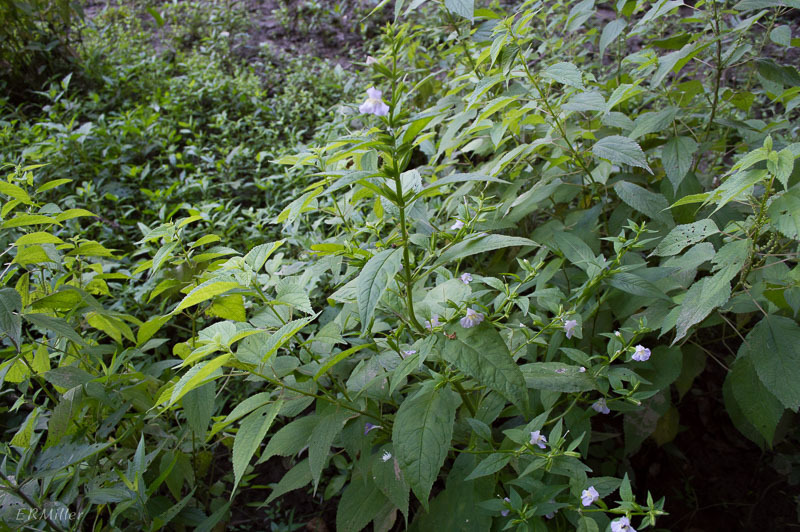 Both species can grow up to 3 feet tall, and both have the same cultural requirements: wet or at least consistently moist soils, and some shade. The sorry-looking specimen shown here was growing in a very interesting place (perhaps subject of a future blog post), in full sun. All of the plants (there were only a few) were stunted. Winged monkeyflower is the opposite of the other with respect to how the leaves and flowers connect to the stem. In this species, the flowers are sessile or almost sessile, while the leaves have longed winged petioles (and winged stems). 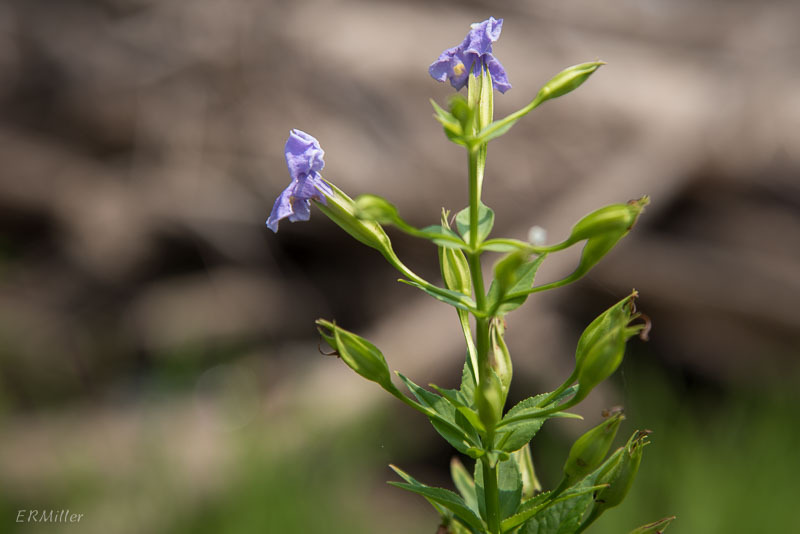 The winged monkeyflower has some conservation issues: special concern in Connecticut, threatened in Iowa, endangered in Massachusetts, probably extirpated in Michigan, and rare in New York. 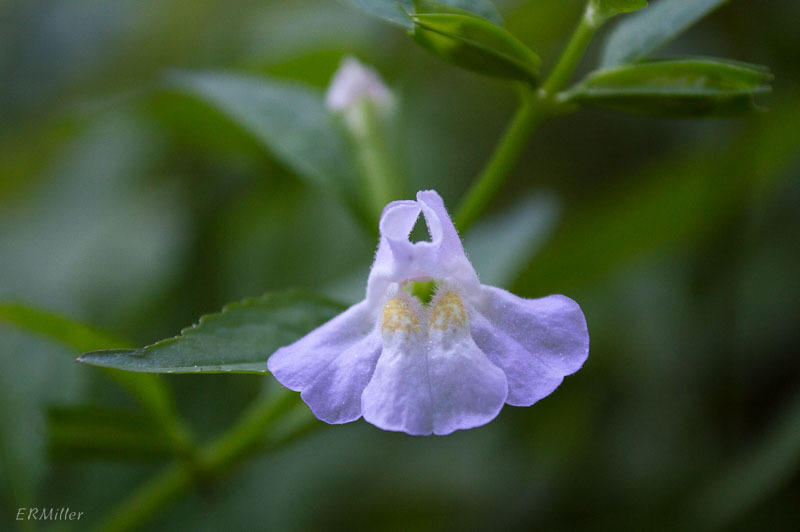 This entry was posted in Uncategorized and tagged Mimulus, monkeyflower, Scrophulariaceae by elizabeth. Bookmark the permalink.